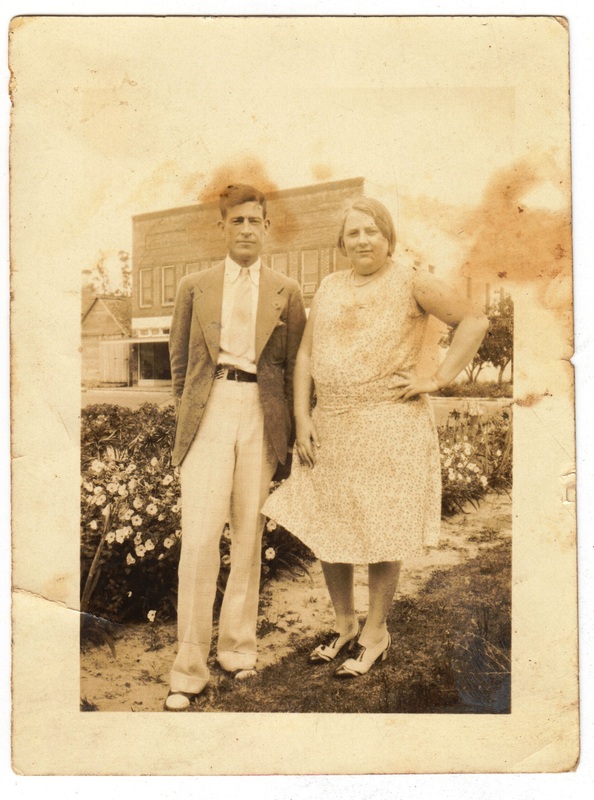 Samuel G. Guthrie, of Ray City, GA, photographed in Florida with an unidentified friend. Samuel G. Guthrie, well known and highly regarded Ray City and Berrien county man, passed away Tuesday, January 9, in the Brunswick Hospital following a heart attack. He was 44 years of age. A son of Mrs. Lucy Newbern Guthrie and the late A. H. Guthrie of Ray City, the deceased was born and reared in Berrien county and had spent practically all his life here. He had lived in Brunswick about one year where he held a position in the shipyards. He was a member of the Baptist church. Funeral services were held at the New Ramah church in Ray City Wednesday afternoon, January 10, at 4:30 o’clock, conducted by Elder Charlie Vickers of Nashville, and Elder Orville Knight of Valdosta. Burial was in the church cemetery. Pall-bearers were Carroll V. Guthrie, June Eroll Purvis, Emmis Purvis, Archie Peacock, Rudolph Moore and A. T. King. Surviving besides his mother, there are four brothers and five sisters, June Guthrie and Herman Guthrie of Jacksonville, Fla., P. T. Guthrie of Lakeland, and John Guthrie of Ray City, Mrs. J. R. King of Nashville, Mrs. Marvin Purvis, Mrs. O. A. Knight, Mrs. Rossie Futch, and Miss Bettye Guthrie of Ray City. 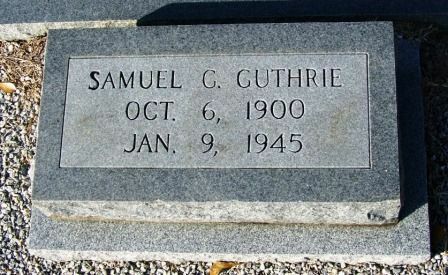 Samuel G. Guthrie (1900-1945), New Ramah Cemetery, Ray City, GA.